Acrylic dust filter bag (Homopolymer Acrylic Felt) Normal maximum continuous operating temperature is 125degrees. General applications include: dryers, electric furnace, aluminum reduction and primary or secondary smelting. The chemical resistance is satisfactory to most mineral and organic acids. Superior to polyamides and polyesters in this regards. 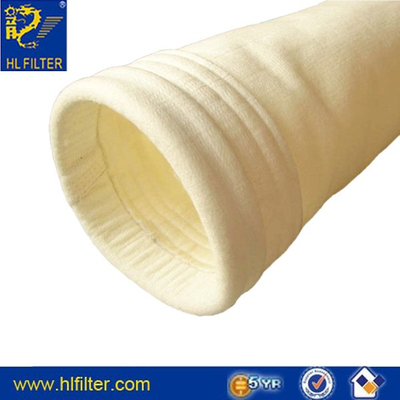 Acrylic filter bag resistance to alkalis is inferior to most fibers except natural protein fibers such as silk and wool. Acrylic filter bag has fair resistance to most oxidizing agents and is superior to polyamides and protein fibers in this respect. high resistance to hydrolysis and good temperature resistance. Acrylic is more costly than polyester and polypropylene.